Mr. Movie has passed away, and I didn’t know. I just thought he was sick and folks were filling in for him. But he had died, sadly of kidney failure, more than a month ago, and he just isn’t there any more. Radio is a strange thing. We always assume it’s going to be there, and by connection, the people on the radio will be there as well. Tonight I heard an errant comment by the hosts of "Remember When" on 1210 AM where it was said Steve was looking down from heaven. 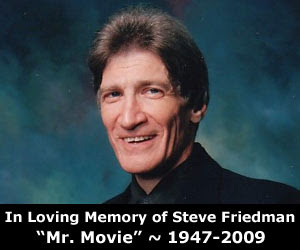 I raced to the internet, and there it was, over a month ago, Steve Friedman had passed. The man they called Mr. Movie had been a radio fixture in the Delaware Valley for more than three decades. Even when I disagreed with the man, which was quite often, I loved him. His passion for movies and his scary encyclopedic knowledge of them was awesome by any stretch of the imagination. In the three decades he was on the air I went from a casual lover of film to running a video store to being somewhat of a movie critic myself – and I can’t help but think that he had some indirect influence over that. 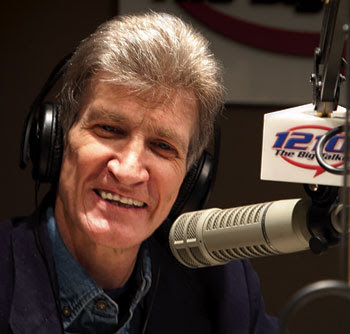 For most of his uneven run on Philadelphia radio I was a regular listener. I called and spoke with him on more than one occasion – notably once trying to recover from the serious WTF experience of seeing Blue Velvet for the first time. He taught me more about film than I can’t to admit. I don’t think I see any new movie without thinking 'I wonder what Mr. Movie will think of this.' Steve Friedman is a voice in the night that will be missed. damn. that's terrible. very sad.